I’m sure everyone is well aware that the heated patent battle with Samsung has recently ended over the past week. While that heated battle is finished, there is another ongoing patent dispute in Germany, involving Apple. Just like the Samsung case, Apple claims Motorola has unfaithfully adopted patented features onto their devices. 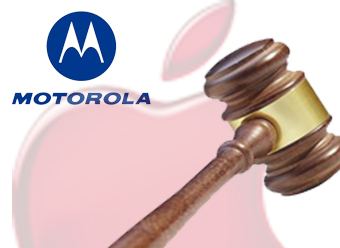 Rather than the two being involved in a large court battle, Apple has come to an agreement with Motorola in Germany. This is one issue Samsung had, they wouldn’t accept any of Apple’s pleas. 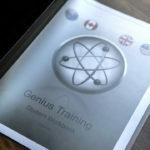 In a filing made late on Monday (August 27, 2012) with the United States District Court for the Southern District of California, the Google subsidiary has now confirmed the recent conclusion of a standard-essential patent license agreement with Apple. Under the agreement, Apple is now licensed to use some if not all of Motorola’s standard-essential patents in Germany, though the parties have not yet agreed on a FRAND royalty rate, which will ultimately have to be set by German courts unless they agree on a rate prior to its judicial determination. Motorola, recently bought out by Google, reached the deal in an abrupt manner. With Motorola being in the cellphone biz for years previous to Apple, it isn’t odd to see them accept the deal in such a timely manner. As iDownloadBlog notes, they have over 30 years worth of experience with cellphone related-patents. In the past, they’ve won a few battles with Apple. One notable came earlier this year; Apple was found infringing a 3G patent owned by Motorola.